There’s just no way of phrasing it nicely: Donald Trump is getting a verbal shellacking from all critical corners this August, like you wouldn’t believe. 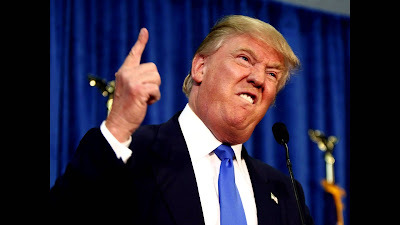 His every action and every word has hit hard and nasty against opponents and Republican turncoats, and had the tendency to be construed in the most negative light possible on the news. And as BBC notes, this has now put all media under fire from not just Trump himself, but his circle of most devoted followers. Where they were content enough with punctuating their candidate’s latest anti-Hillary Clinton tirades with militant cries of “Lock her up!” and loud boos, now they’ve added reporters into their hate list, zeroing on media people covering his rallies and accusing them of being liars. It was just as well. After trying his damnedest to spin his “Second Amendment people” talk – that which was interpreted as a veiled invitation to assassinate the Democratic candidate – as either a call for the gun owners to exercise their political will or an ill worded joke, Trump has pretty much abandoned all motions of damage control and instead lumped all media in with his rival as being part of a grand conspiracy to undermine his image. His loyalists then chime in that not only have these “efforts” backfired in removing Trump support, but have also the “great conspiracy” to deny a Republican victory in the November elections. These plots are said to run the gamut from wide-scale vote rigging to an outright cancellation of the polls by a declaration of martial law, if a Trump die-hard from Palm Beach, Debra Tomarin, is to be believed. Are the recent opinion polls showing her candidate’s flagging percentage? It’s all a massive brainwashing campaign, she says. Lots of bile has been thrown in the direction of Republican defectors too. Mike Huckabee, who was another GOP hopeful for the nomination against Trump but has now become one of his strongest spokesmen, offers an alternative viewpoint to the desertion of some party bigwigs claiming to have shifted support towards Clinton because their party nominee’s belligerence has doomed the campaign. It looks like there’s no stopping Trump being Trump even as the campaign period counts down to the final showdown at fall. His latest dig against the Democrats is that Hillary and Barack Obama were the true founders and masterminds of ISIS, whose Islamic extremist leadership are only patsies under their malevolent control. And no downplaying by media of his opinion will change it for him. The battle lines are drawn: Trump and his church against the world. And they seem to like it that way.